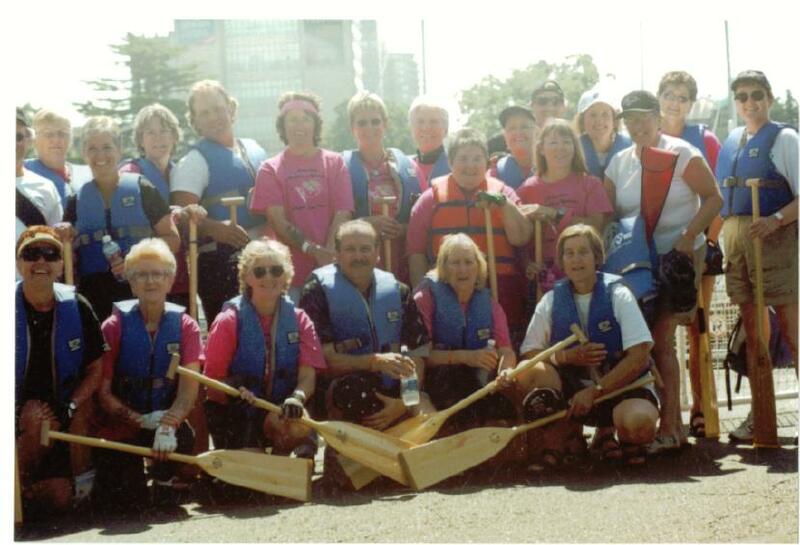 It took a little over a year for the Angels to form the Society and put together their dragon boat team. 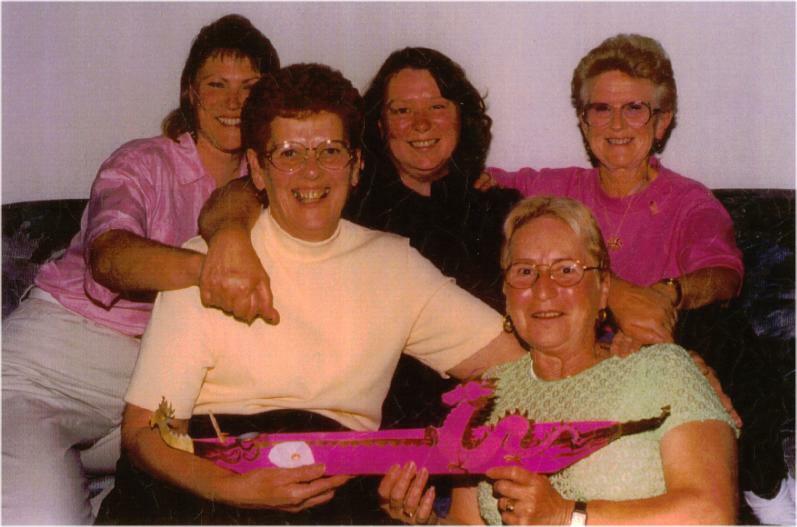 Their first meeting was in Sept. 2000 and their first competition was at the Gorge in Victoria in August 2001. And they came second in their first race! 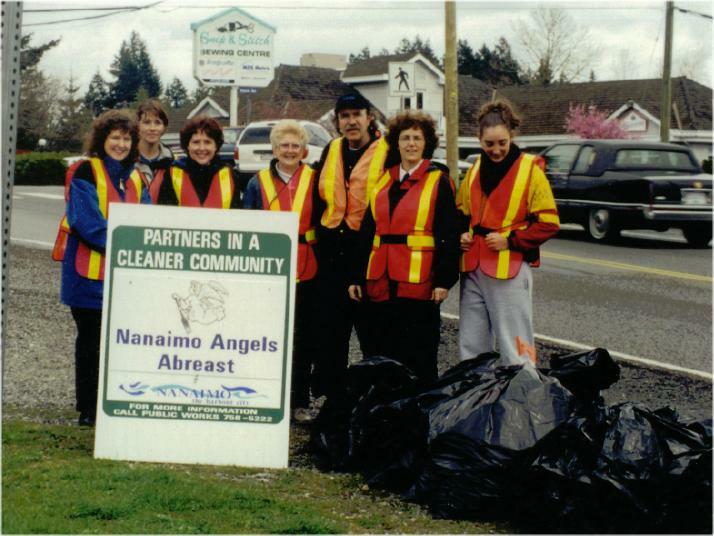 From the start the Angels had significant support from their families, friends and the community at large. They were able to buy their own boat in June 2001, largely due to a loan from Bill Duke whose wife Ann was one of the founding members. The boat’s builder, Vincent Lo of Vancouver, also donated the teams’ first 25 paddles. The team initially practiced on Green Lake. The boat was “parked” at Ann and Bill’s place. 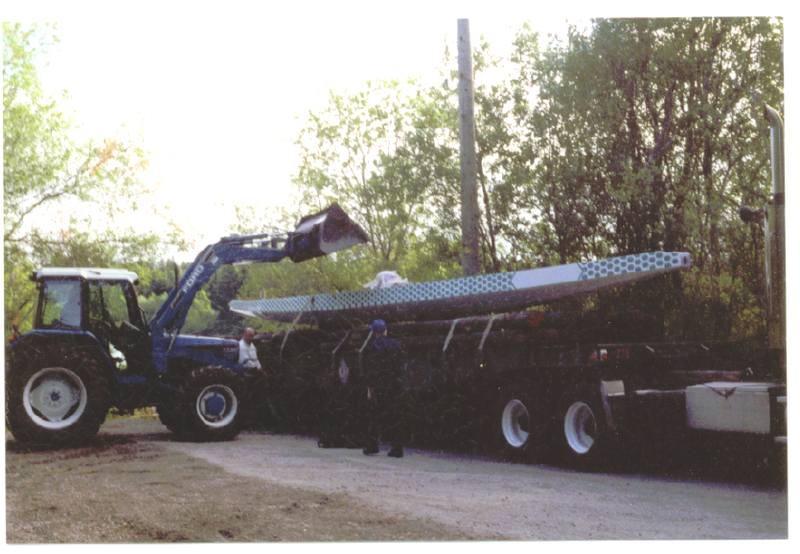 In 2003 Stone’s Marina offered to house the boat for free, which meant practices could be on salt water in the Strait of Georgia and Ann and Bill could have their dock back. You can see the Angel’s Abreast sign on the side of the Boathouse. The boat at Ann and Bill’s dock. Support came in another form. 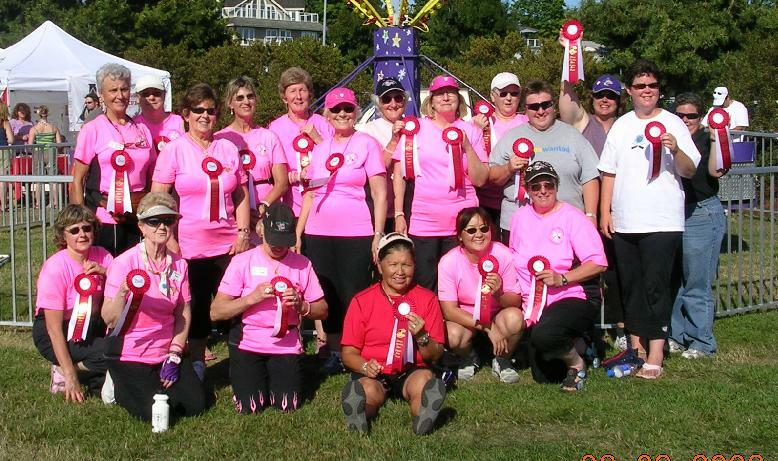 The first team included supporters who were not breast cancer survivors. 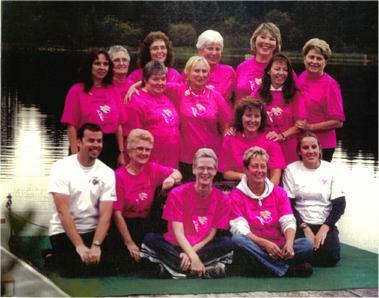 In the boat the survivors wore pink shirts and the supporters wore white. 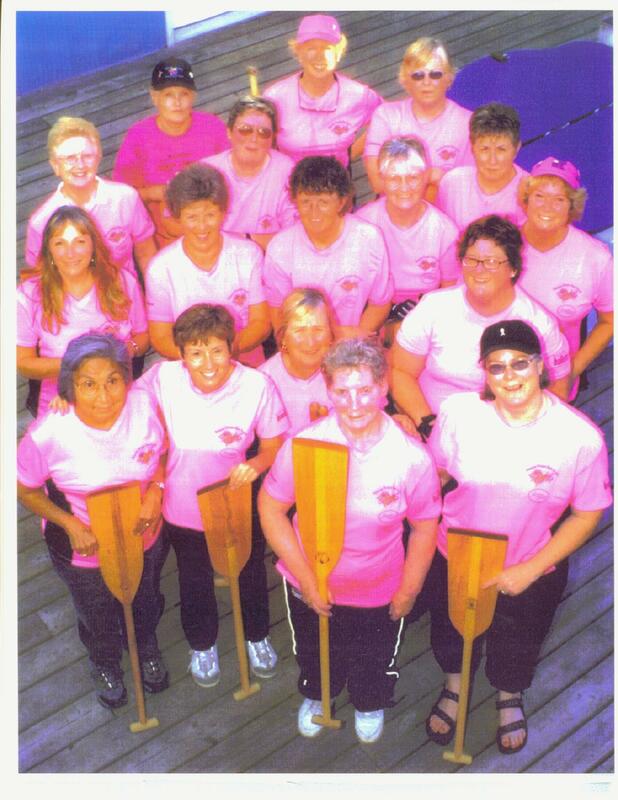 By 2003, however, there were so many women who were survivors wanting to join the team that a decision was made to make the Angels Abreast for survivors only. 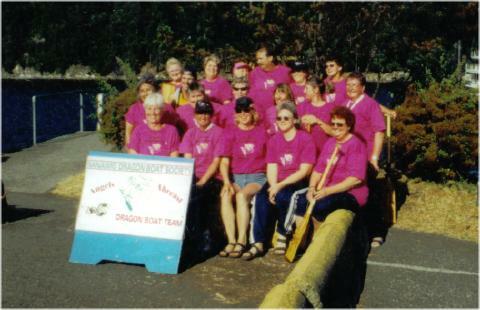 By then Nanaimo had many dragon boat teams for Angel supporters to join. 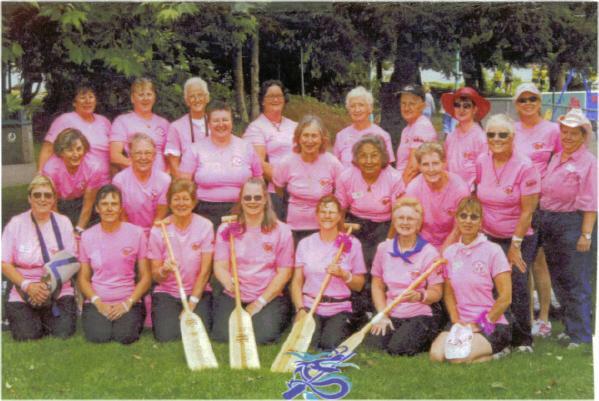 To this day there is much greeting and celebrating at competitions when Angels meet their sisters who now paddle on other teams.